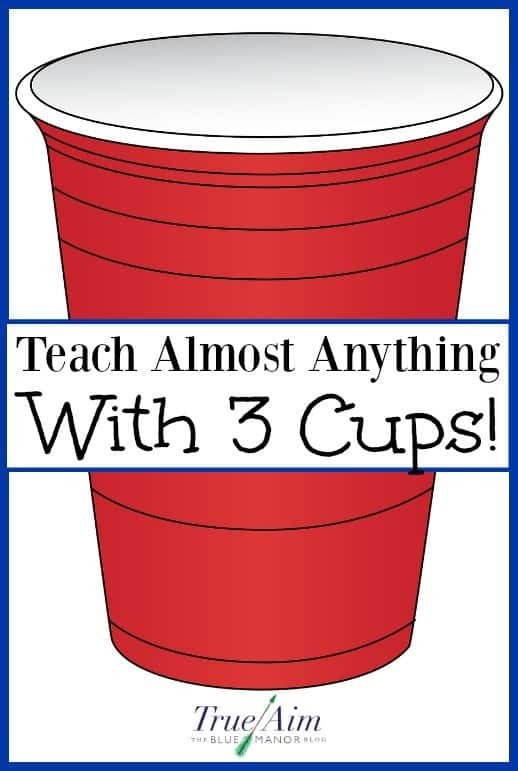 You can use just 3 cups to teach just about anything to your homeschool. It sounds crazy, I know. You can turn these cups into carnival game for kids just by adding flashcards and a reward system. These games can improve your children’s memory, concentration, and general knowledge. You will be amazed at how eager your children are for learning time. I don’t know about your home, but I always seem to have these cups left over from when guests come over. I am glad I can make good use out of them. Click here to learn how to teach your child anything with just 3 cups from True Aim Education.